Hello guys! A double post today. ebe-1 on DeviantART is a somebody who's currently too busy but is still considering our project. 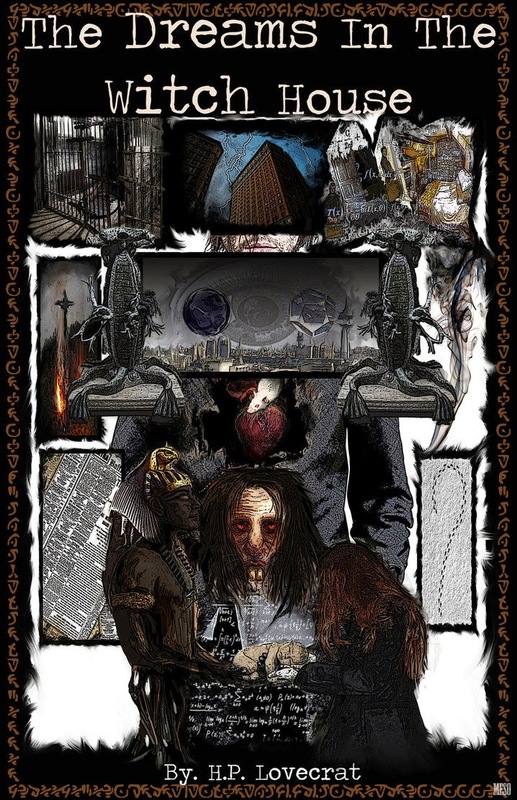 In the meantime, I'd like to show you some of his Lovecraft work, so you get an idea of how his art looks. 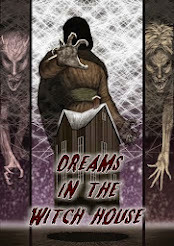 "The Dreams in the Witch House" piece is placed at the bottom of the list for dramatic effect. 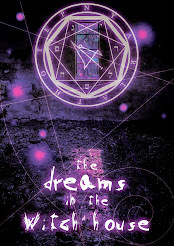 ..."The Dreams in the Witch House". We've sent the Elder Thing statue designs over to a sculptor who our grandmother knows. I feel like we should show you the designs. Sorry for the blurry quality of this image. 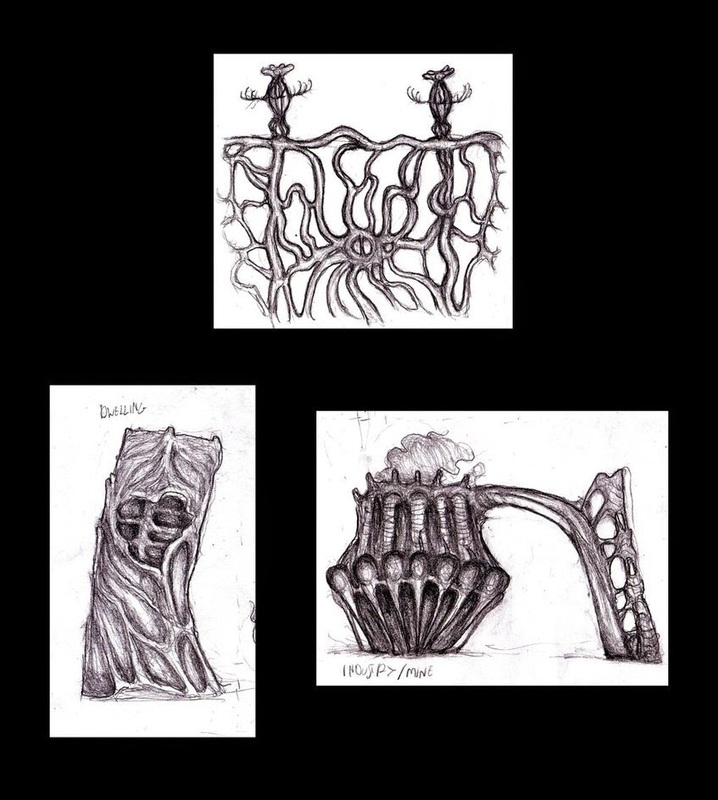 This tiny little Elder Thing thumbnail sketch is taken from the first set of designs KingOvRats did for the Elder City. Which I hope makes up for the blurry quality of the thumbnail. You can see the Elder Thing statues on the upper sketch of the balustrade. 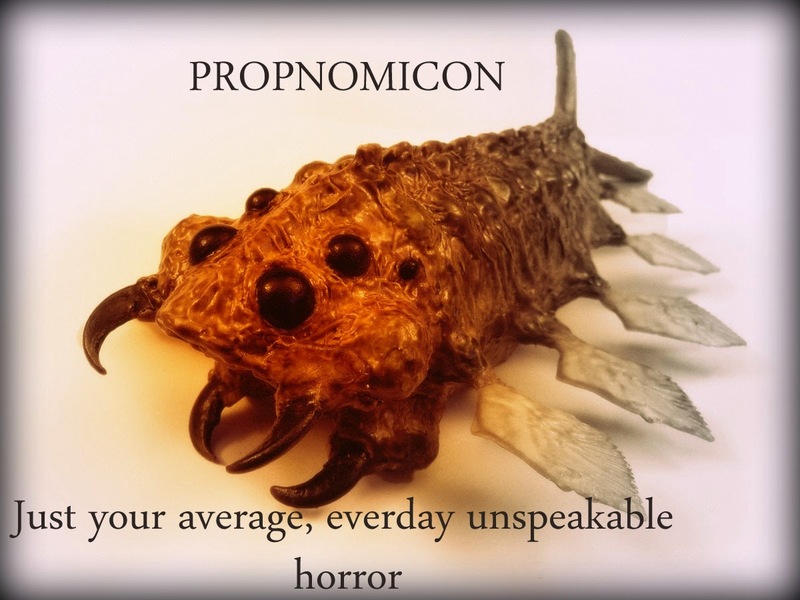 This horrifying abomination is completely based on HPL's description. 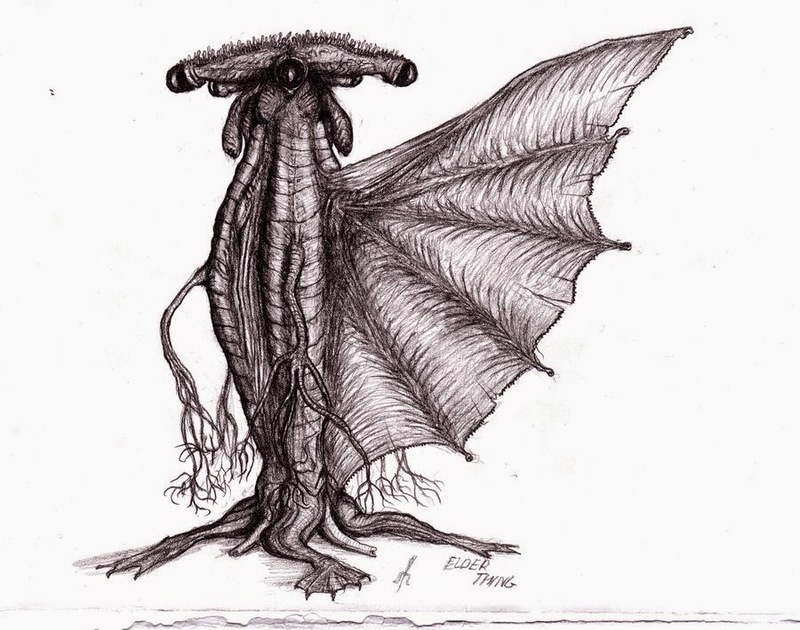 Here: just read some descriptions of an Elder Thing from At the Mountains of Madness and check it with the drawing. "At top of torso blunt bulbous neck of lighter grey with gill-like suggestions holds yellowish five-pointed starfish-shaped apparent head covered with three-inch wiry cilia of various prismatic colours. Head thick and puffy, about 2 feet point to point, with three-inch flexible yellowish tubes projecting from each point. Slit in exact centre of top probably breathing aperture. At end of each tube is spherical expansion where yellowish membrane rolls back on handling to reveal glassy, red-irised globe, evidently an eye. Five slightly longer reddish tubes start from inner angles of starfish-shaped head and end in sac-like swellings of same colour which upon pressure open to bell-shaped orifices 2 inches maximum diameter and lined with sharp white tooth-like projections. Probable mouths. All these tubes, cilia, and points of starfish-head found folded tightly down; tubes and points clinging to bulbous neck and torso. Flexibility surprising despite vast toughness." "At bottom of torso rough but dissimilarly functioning counterparts of head arrangements exist. Bulbous light-grey pseudo-neck, without gill suggestions, holds greenish five-pointed starfish-arrangement. Tough, muscular arms 4 feet long and tapering from 7 inches diameter at base to about 2.5 at point. To each point is attached small end of a greenish five-veined membraneous triangle 8 inches long and 6 wide at farther end. This is the paddle, fin, or pseudo-foot which has made prints in rocks from a thousand million to fifty or sixty million years old. From inner angles of starfish-arrangement project two-foot reddish tubes tapering from 3 inches diameter at base to 1 at tip. Orifices at tips. All these parts infinitely tough and leathery, but extremely flexible. Four-foot arms with paddles undoubtedly used for locomotion of some sort, marine or otherwise. When moved, display suggestions of exaggerated muscularity. As found, all these projections tightly folded over pseudo-neck and end of torso, corresponding to projections at other end." But as inspired as this drawing is, it is NOT naturally suited to sculpture form. The Elder Thing sculpture in the center "panel" is very similar to KingOvRats' design and would give the sculptor a clearer idea of what we wanted. So with the kind permission of both artists we sent this bunch to the artist. "Any colour's fine as long as it is BLACK. 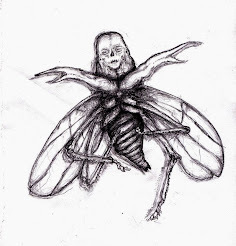 ": a Polish artist who draws wonderfully creepy depictions of literary and dreamed-up monsters. 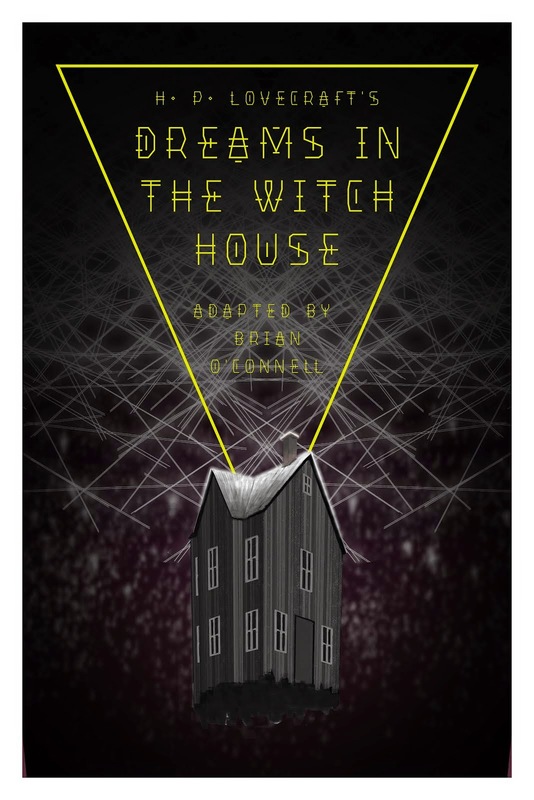 Music by "Dreams in the Witch House - A Lovecraftian Rock Opera"
"Witch House Rocks": a two-continent spanning rock opera that will blow your mind. 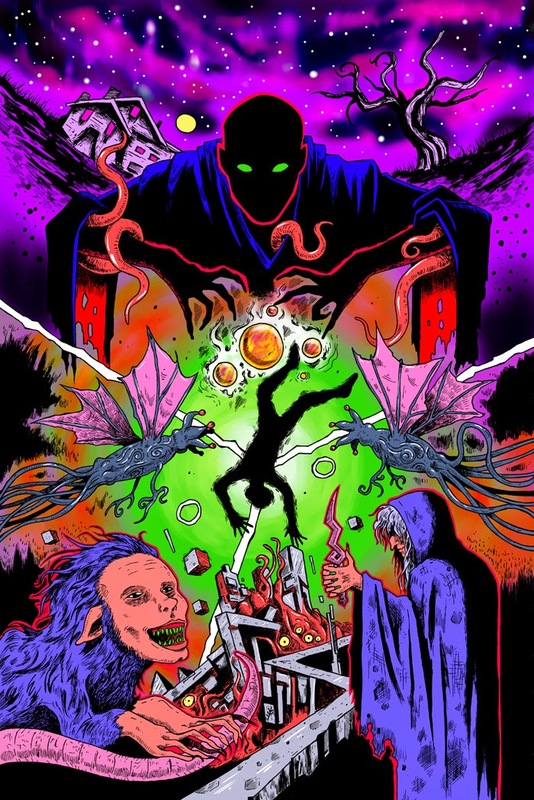 "Amateur fantasy and monster movies made with love! ": a fantastic Swedish stop-motion animator who pumps out mini-epics. "Wild Visions and Dark Dreams"
That not enough? Well, we're just getting started. A group of talented concept artists have done beautiful pictures for us. Go for the label "Concept Artists" to check out the full scope, but here's a quick list. Click on the image to visit them! 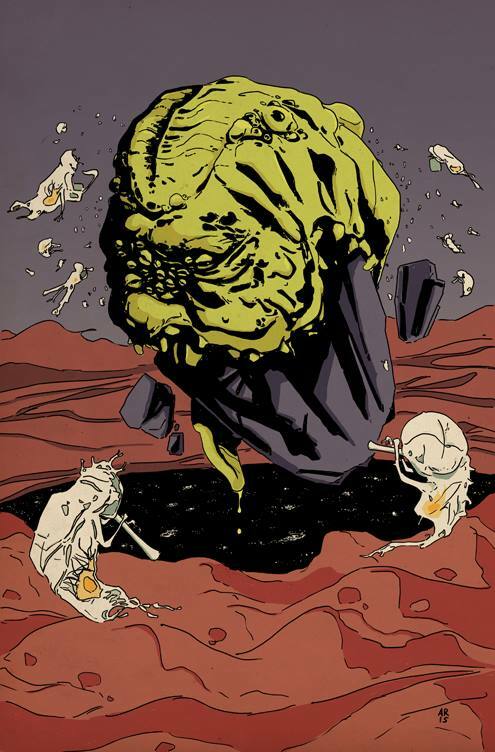 "...Jason Thompson..., comic artist and Eisner-nominated author of 'Manga: The Complete Guide'. Creator of 'King of RPGs', 'The Stiff', 'H.P. 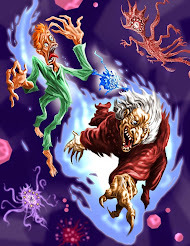 Lovecraft's Dream Quest', and others." 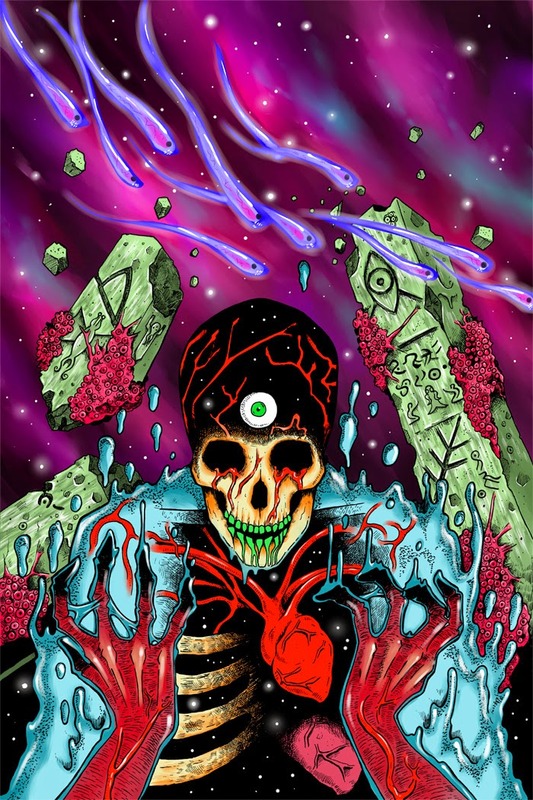 "I'm a second shift freelance illustrator and a corporate designer from 7-5. Since everything I draw tends to look a little dead I gravitated to drawing horror. 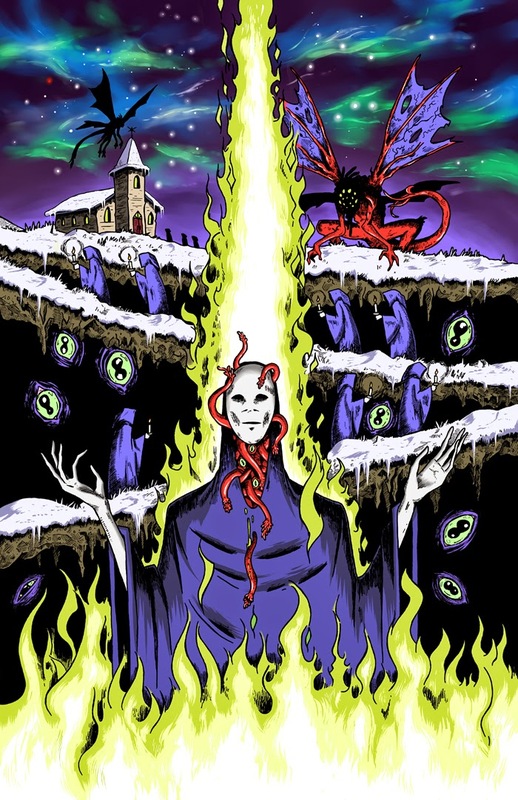 I draw illustrations for comics, books, rock bands and monster models." "Spreading the Weird Since 1950"
Writer, editor, and secular community advocate. Let's make meanings that mean something. 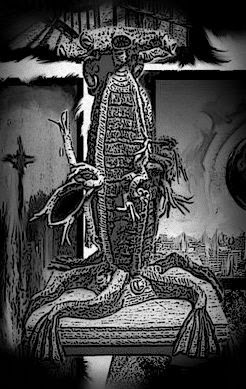 ...and, in the spirit of Lovecraft, here are some other sites and projects that you may enjoy. 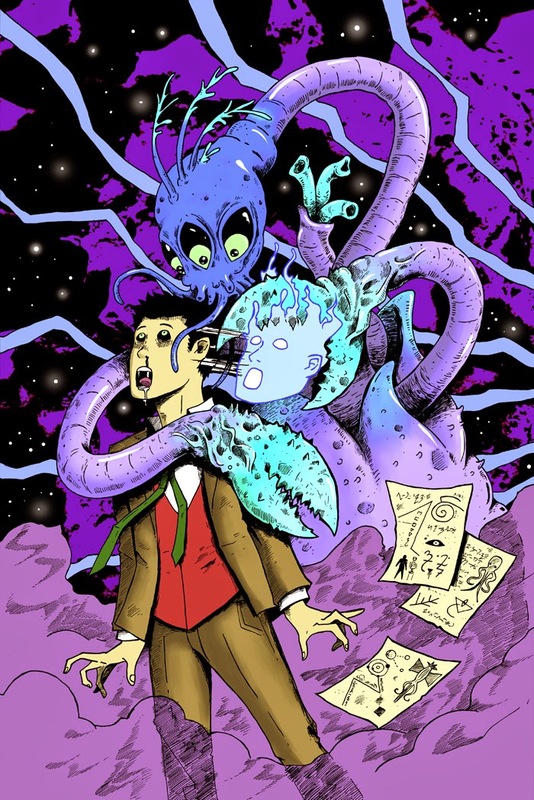 Fhtagn Fiction & Nyarlathotep News! Logo copyright 2014 Burning Eye Media. Art by Gregg Stockdale. Awesome Inc. theme. Powered by Blogger.